Mr. Ray will be visiting the teacher classrooms on a monthly basis to visit about such things as: respect, responsibility, caring, trustworthiness, fairness and being a good citizen. Check back here to find out more details regarding what each grade level has been studying. Week of September 3: 4th-grade lesson on respect focused on being a superhero/villain and "bucket filling." The differences between bucket fillers and bucket dippers were discussed. Students assessed themselves by contrasting themselves "at my best" versus "at my worst". Students did an exercise in which they were faced with certain behavioral decisions. Better versus worse choices were analyzed. Week of October 1: ﻿We read and discussed the book ﻿The Invisible Boy﻿ by Trudy Ludwig. We thought about times we have felt invisible and examined behaviors/choices that might contribute to others feeling that way. We discussed seemingly small behaviors/attitudes that could allow others to become "visible". Week of October 29: 4th grade talked about the five pillars of being a good school citizen. We made "educated guesses" about what a video on school rules would identify as the "pillars". We then compared our educated guesses with the pillars identified in the video: 1. respect others and their property 2. respect school property 3. follow school rules 4. show good character 5. give back to the school community. Finally, we discussed ways that Armstrong students could be better school citizens....they had some great ideas! Week of December 3: ﻿4th grade watched a video called "Courtesy is Contagious." We learned about what a "think not" is. Rude or inconsiderate behavior is most often a product of not thinking (or not putting yourself in the shoes of the other person to consider his/her perspective). Week of January 21: ﻿4th grade watched a video about self-esteem. We learned that self-esteem is determined by how much we value ourselves and our abilities. The program watched was composed of 4 vignettes: all your talents, your best, being different is good, choose who you listen to. Additionally, choosing to be positive is a good way to build self-esteem. Week of September 3: Kinder lesson about making respectful choices. We read the book Oh No, George! 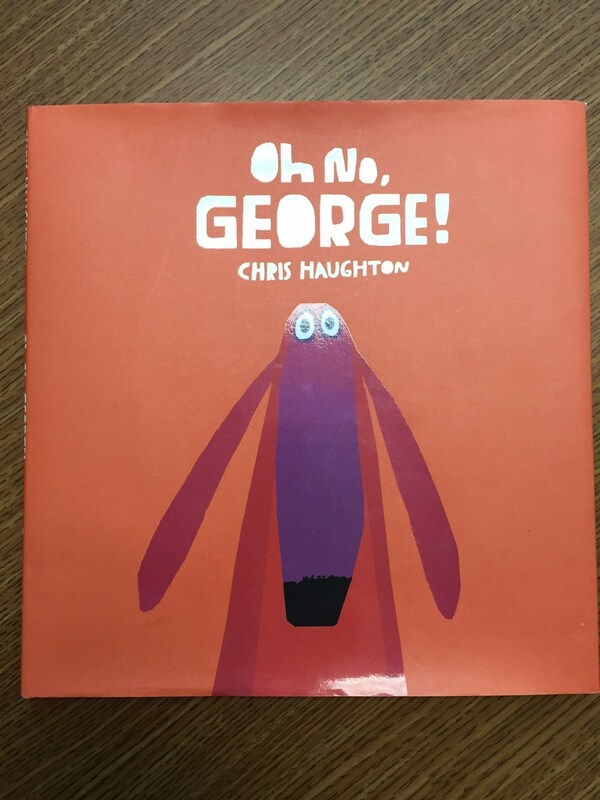 George struggles with making respectful choices; he knows the difference between good and bad choices but sometimes chooses unwisely. George learns to make more respectful decisions with the help of Harry (his owner). Kinder students were able to identify the things they knew on the 9th/10th days of school that they did not know on day one. They are in constant learning mode and excited to be Armstrong Eagles! Week of October 1: Kinder watched a presentation about the differences between "silly school" and "super school." We were very glad to see that Armstrong is much more like "super school." Kinder students identified many of the ways that Armstrong is a super school including kind, respectful treatment of others. Students identified how time and place influence behavior at school...e.g. classroom, cafeteria, hallway, recess, etc. Week of October 29: We read the book The Hyena Who Lost Her Laugh. Hillary the Hyena learns that when she is more optimistic and realistic in her thinking, she feels better and has more success. She also has more fun with her friends. We also talked about replacing negative self-talk with realistic, more optimistic statements. This fits in nicely with our focus at Armstrong on a growth mindset. School is all about learning; students are not perfect and must take good risks in order to learn and grow. We all have relative strengths and weaknesses. Week of December 3: We read a book entitled I Like Your Buttons! In the story, a girl starts a "kindness chain reaction" by telling her teacher she likes the buttons on her blouse. The good feelings created by this compliment spread out like ripples and eventually make their way back to the girl who started the kindness chain reaction. We then did an experiment in which we used an energy ball. Classmates linked hands to simulate the kindness chain reaction. Between one pair of students, the energy ball lights up and makes sound. If anyone loses their connection in the chain, the energy ball stops glowing and goes silent. Lesson learned: spread those good feelings through your good choices, compliments, smiles, etc. 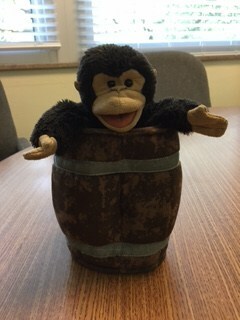 Week of January 21: We reviewed and practiced the skill of whole body listening. Mr. Potato Head served as a model by examining how different parts of the body contribute to the whole body listening. We read Whole Body Listening Larry at School in which the main character helps some new students discover what whole body listening is in various locations throughout the school day. Week of March 25: We read The Horse Who Lost Her Herd. Hannah is used to leading her herd in their games. When the herd starts following another pony, Hannah sulks and gallops away. A wise owl gives her advice on how to rejoin the herd: 1. Compliment others to show you like them. 2. Do things to show you care about them. 3. Take turns to show you respect them. Week of September 10: Third-grade lesson about friendship and respect. 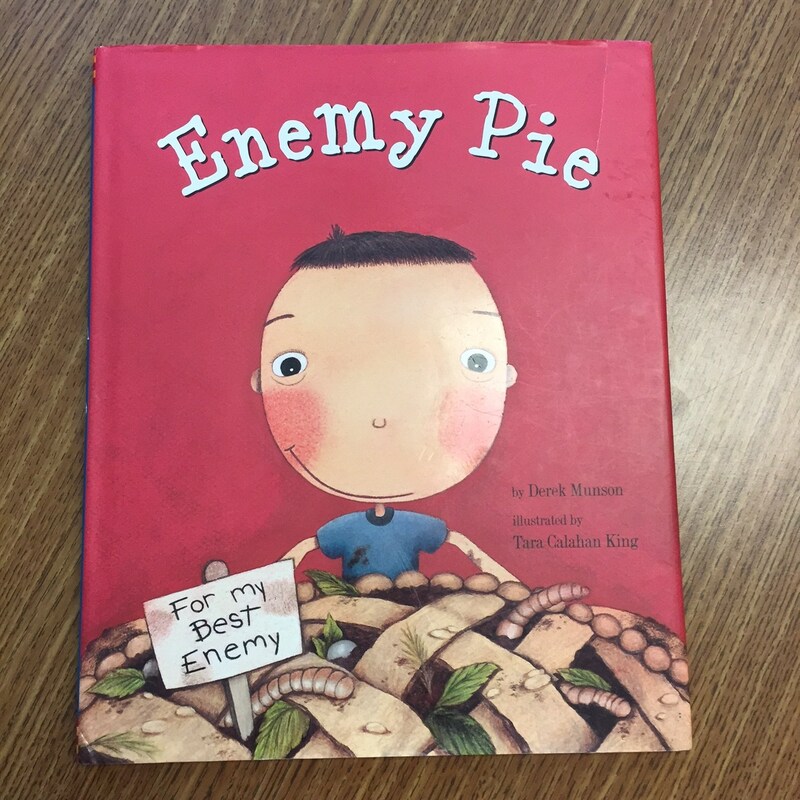 Enemy Pie by Derek Munson is one of my absolute favorite books of all time. The narrator is upset when a new kid moves to the neighborhood because he "steals" his best friend. Dad has a concoction to get rid of enemies----enemy pie. The secret ingredient is that you have to spend the whole day with your enemy and be nice to him. By the end of the story the enemy is gone (having transformed into a friend). All sorts of lessons here like being welcoming to new students, to have a friend you must be a friend, etc. Students completed the lesson by coming up with their own recipe for "friendship pie." Week of October 8: Third grade read the book My Teacher Is a Monster. Student Bobby saw his teacher as a monster because he was judging her from a very narrow framework. A chance meeting changes Bobby's outlook and Ms. Kirby changes in his eyes. We learned that labeling people can be disrespectful and hurtful. Week of November 5: Third grade had a lesson about teamwork. We examined the many different teams that we may be a part of...at school, at home, in the community. We watched a video with different vignettes of good and bad teamwork set at school, home and during recess. Students completed a true/false quiz. Students reflected on their own team experiences and shared how their teams had been successful/unsuccessful. Week of December 10: Third grade had a lesson about friendship skills. We read Kathryn Otoshi's Two which tells the story of two best friends who have a falling out when another comes between them. Lessons learned included understanding the perspective of another and allowing others to have many friends and including all. We worked on a want ad for a friend which included the qualities we desire in a friend. We then reflected on our own personal qualities and compared them to the qualities we desired in others. Week of January 28: We watched a video of a celebrity reader sharing Somebody Loves You, Mr. Hatch. The story follows a gentleman who leads a solitary life until he receives a surprise package with a note reading "somebody loves you." Mr. Hatch's life completely changes as does his outlook and behavior. When Mr. Hatch finds out he received the package by mistake, he returns to his life of solitude. His new found friends rally to support him. Students are able to have a great discussion of empathy as they identified how they felt when Mr. Hatch learned that he received the package by mistake. Other concepts discussed included giving compliments, active listening and encouraging statements. Week of February 25: We read the book Is a Worry Worrying You? by Ferida Wolff and Harriet May Savitz. This book is a little over the top and silly at times; however, it offers good strategies in following the main character as he finds ways to best deal with his worries. A follow-up activity called "Things I Can Control in my Life" is worked through as students identify which category (can control or can't control) that particular worries fall into. Ideas for how to deal with worries (as identified in the book and through classroom discussion) are shared. 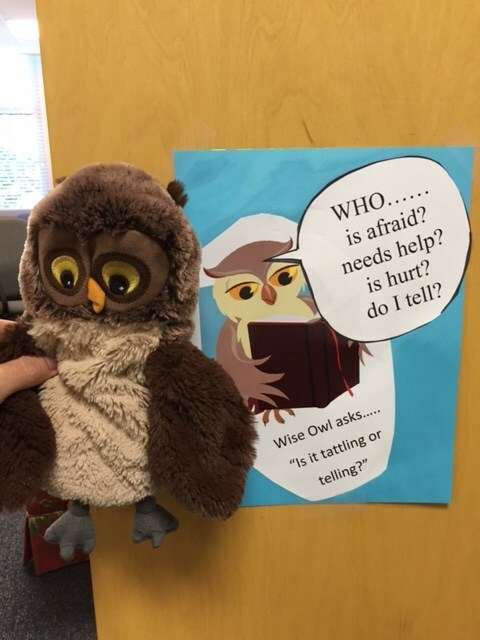 Week of September 24: We were visited by Wise Owl who taught us the "Who" rules for the differences between tattling and telling. They are: 1. Who needs help? 2. Who is afraid? 3. Who is hurt (or might get hurt)? 4. Who do I tell? Students watched a brief video with different vignettes reinforcing the questions. Week of October 22: Second grade read What if Everybody Did That? to identify disrespectful behaviors that impact our friends, families and communities. Little things can add up if enough people make bad choices or if these little things become habits. We examined who deserves respect and how to show respect. Week of November 26: We watched a video in which the "Good Word Fairy" helped kids in conflict examine their word choices. Students learned an easy three-step process: 1. Take a deep breath and calm down 2. Tell the other person how you feel by beginning with an "I message" 3. Listen to what the other person has to say. We learned that bad mood messages only make the situation worse. Being sad, mad, or frustrated is acceptable; however, saying or doing mean things is not. Week of January 8: We looked at how we think about ourselves by watching two short videos of authors reading books. We examined perfectionism and how we deal with setbacks (which happen to us all) with Loretta: Ace Pinky Scout by Keith Graves. Additionally, we watched Unicorn Thinks He's so Great in which Goat's jealousy of Unicorn gets the best of him until he realizes Unicorn isn't perfect and admires qualities of Goat. We learned to accept ourselves and appreciate our skills and talents. Week of February 11: Last week was Kindness Week. So, this week's lesson was a "grab bag" of some of the skills/challenges associated with the different theme days. We discussed compliments, empathy, hearing versus listening and including others. We read a book called Hey, Little Ant that put a different type of spin on empathy. Week of March 18: We watched a video about the Berenstain Bears called “Trouble at School.” While out of school for a few days with a cold, Brother Bear ignores his make-up work. And when he returns to class, he discovers the consequences of neglecting his responsibilities: he fails his division test. Grizzly Gramps helps Brother learn that it's never too late to correct a mistake. We visited about making responsible choices and not making a small mistake into a bigger mistake. In the video, Brother Bear further complicates his problem by hiding the truth from his family. He eventually works his way out of trouble by telling a trusted adult. We visited about lying by omission and keys to academic and social success at school. Week of April 15: We read the books Sorry, I Forgot to Ask by Julia Cook and Sorry! by Trudy Ludwig. We learned about the importance of a sincere apology. Keys include being specific about what caused the problem and making amends if necessary. An insincere apology can add insult to injury. Week of September 17: First grade read Alexander and the Terrible, Horrible, No Good, Very Bad Day. Almost everyone had read the story before; however, we read with a perspective of looking for ways Alexander could make different choices which would impact the direction his day took. In other words, Alexander's choices contributed to his "terrible, horrible, no good, very bad day". We then viewed a power point presentation with pictures of items. These items appeared in the story. Students identified the objects and told how each was related to a choice Alexander made. Students then told a different choice Alexander could have made. Week of October 15: We met Kelso, a frog who lives at Willow Pond. We watched a video of Kelso as he taught as the difference between big and little problems. He also gave us several choices of how we could solve small problems. We have several "Kelso's Choices" posters around school to serve as reminders of techniques we can use to solve the small problems. Week of November 12: We read the book The Sneetches by Dr. Seuss. There were lots of opportunity for good discussion about how it feels to be excluded. Students identified that no sneetch is better than any other sneetch (which of course translates to people too). Students talked about what makes them unique or special and made a drawing exhibiting this. Week of December 17: We discussed what the word "dedicated" means. We want to be dedicated to making good choices at school. We read the book Don't Let the Pigeon Drive the Bus by Mo Willems. The pigeon keeps trying to influence/convince the reader to let him do something he shouldn't. We talked about how sometimes we have an "inner pigeon" and it takes self-control to make good decisions. We then identified some negative school behaviors and wrote/drew about them by showing our not letting the pigeon do those identified negative school behaviors. Week of February 4: We read the book Those Shoes by Maribeth Boelts. This is a great story about recognizing the differences between wants and needs. As a part of KIndness Week, we discuss empathy as the main character makes a selfless choice that the reader would have never seen coming based on the book's beginning. The young boy realizes that the things he has are worth more than the things he wants. We finish the lesson by sharing different real-world school-based scenarios and discussing the choices we would make. Week of March 4: We did a lesson about "remembering our past" including past guidance lessons and what the messages/lessons were (not just for this year but during kinder also). We also made note of progress we've made in terms of things we've learned and skills we've built since becoming Armstrong Eagles. Finally, we focused on lessons we've learned from our experiences with family outside of school and shared fun family traditions with our classmates. Week of April 8: We watched a video of the Berenstain Bears called "The In Crowd." A new girl moves to town and all of Sister's friends want to be like the new girl because she seems cool. Sister learns that the most important person's opinion is her own and that it's most important to be yourself. Oh No George! Kinder lesson September 2017.